It has been a busy week at Mashbuttons.com, with a handful of electronics reviews, the beginning of the AAA game season, and it is only going to get busier. 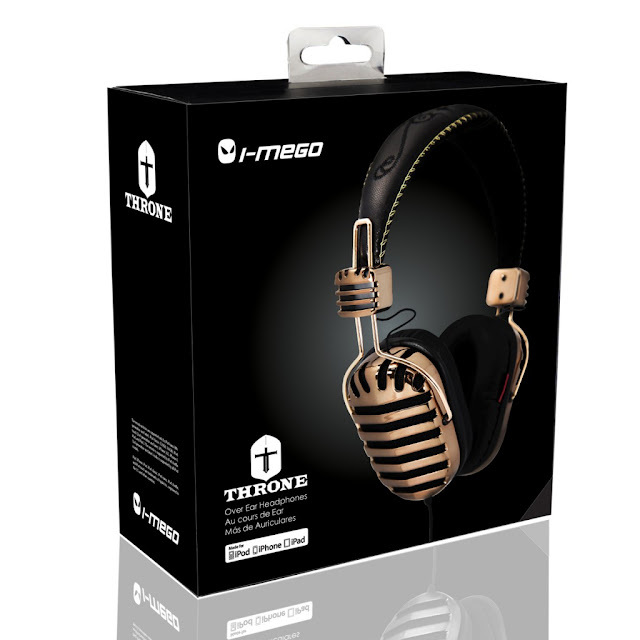 No complaints here, it is on to the next, and this time the next is a pair of headphones from iMego, dubbed Throne. The Thrones are a welcome change to the usual ear buds and these plush bad boys come equipped with two 40 mm drivers, inline remote for smartphones, and is leather wrapped. I forgot to mention that they are designed with a vintage look, reminiscent to a vintage microphone. 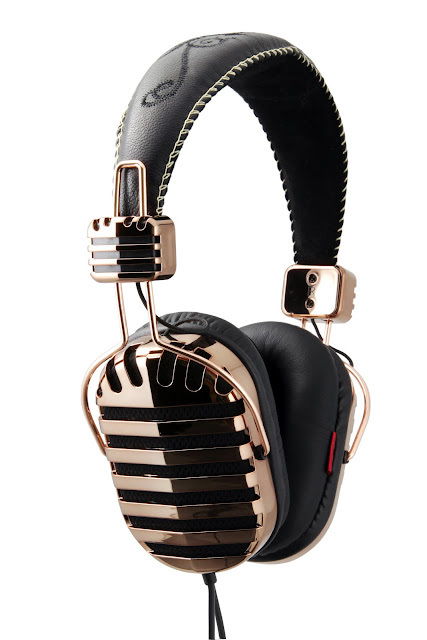 These headphones are nice, I mean, looking at them I wasn’t sure what exactly to think, the cups looked a bit small, they felt light, and they were gold headphones resting on top of my dome. Once the Throne was on my head, I was instantly a fan and that was before I even had music playing. The leather wrap on the top and around the cushion is incredibly soft and while I was apprehensive about the build quality because of how light they felt, the weight is just right, as I did not feel strain when wearing for long periods at a time. 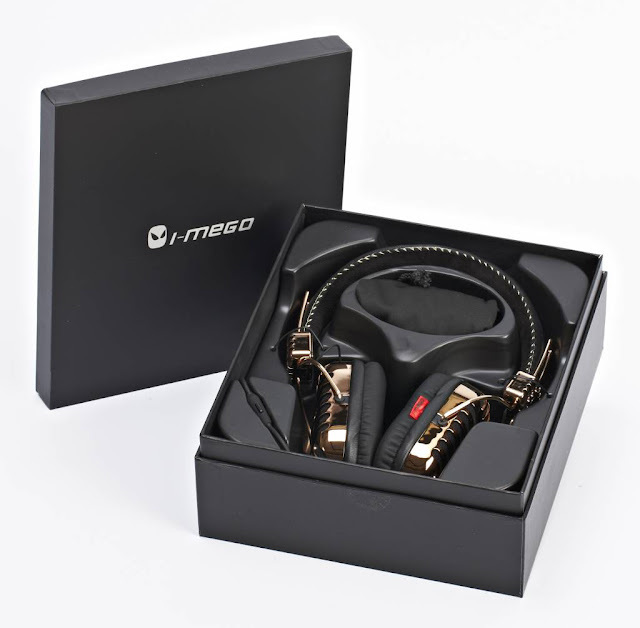 The sound quality, well the sound quality is really good, the mids and highs are there and clear, while the large drivers help produce that deep bass and a decent range for any music fan. I like my music loud, and I was playing some songs at 80 to 90 percent volume without distortion. Now for that which I would have loved to seen different, the cord was 1.2 meters which is fine for when I am on a plane, but when I am on a bicycle or at my desk listening, at least one more foot would be greatly appreciated. The highs were not as strong performers to that of the mids and lows, at higher volumes it sounded tinny, but at a lower volume, they are competing with the bass. While I like the design and retro look, the feel of the gold-coated cans was cheap feeling and have noticed the edges are missing paint in some spots. I am thoroughly enjoying these headphones, they don’t leave my head when I am at my desk, they are so soft and comfortable; there is no reason. While the sound is good, the design was what first caught my eye. 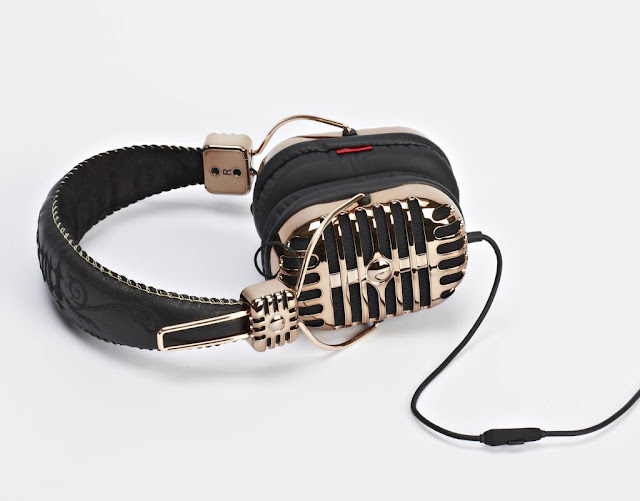 I have never had someone compliment headphones, and these get a lot of attention, everyone says looks they are like one of those old things…I kid you not. When all is said and done, I would highly recommend these for anyone that loves their music loud and not looking for the discomfort of earbuds, priced at 139 dollars, there is a lot of bang for your buck and if you are a fan of the retro look, these are the best I have seen along side the Marshall Major’s.